About 16 miles South of Florence off highway 79. Nikon D810, Tokina 100mm lens, ISO 400, f/6.3, 30 seconds, 6000K white balance, manual mode, bulb exposure. 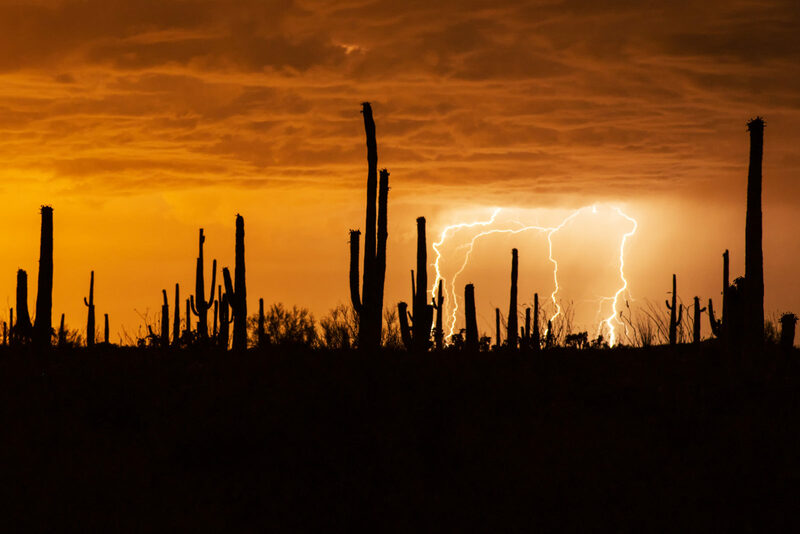 Lightning strikes accent an orange-tinted sky, about 90 minutes after sunset in the Arizona desert North of Tucson.